South Korean President Park Geun-Hye has arrived in Iran for the first bilateral summit since Seoul and Teheran established diplomatic relations more than 50 years ago. Park’s office said the three-day visit will focus on business and trade issues between the two countries as well as on ways to promote bilateral ties. Park is reportedly bringing more than 230 business leaders within her delegation. Iran’s state news agency IRNA said President Hassan Rouhani will hold a welcoming ceremony for Park on May 2. South Korea is the world’s fifth-largest importer of crude oil and was one of the largest purchasers of Iranian oil before the sanctions were imposed on Iran. IRNA said trade turnover between Tehran and Seoul is currently at some $6.1 billion, and that Iran is looking to increase that amount to $17.4 billion. 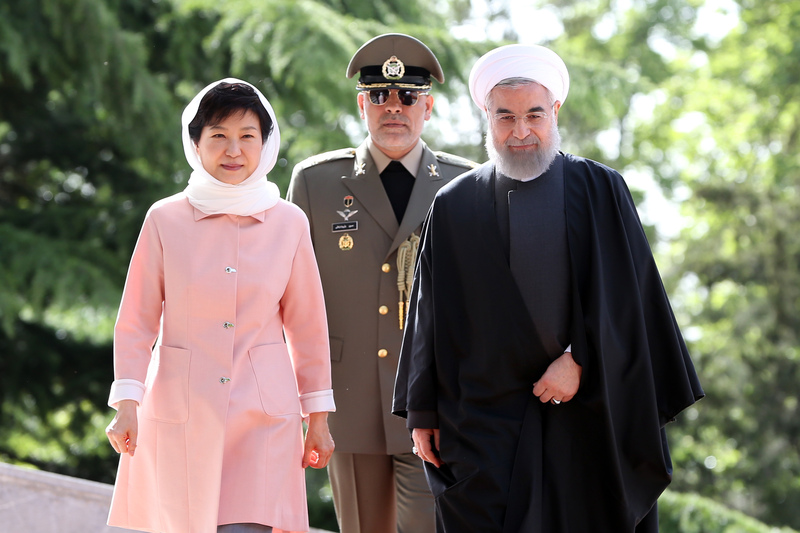 South Korea and Iran established diplomatic ties in 1962 but their presidents had never held bilateral talks. Iranian Oil Minister Bijan Namdar Zangeneh says Iran has raised its oil and gas exports to South Korea to 400,000 barrels per day, a fourfold increase since the sanctions were lifted.